The delay in me typing this up comes from the fact that there are still a few major films from 2013 that I have yet to see – American Hustle, Her, Inside Llewyn Davis, The Secret Life of Walter Mitty, The Wolf of Wall Street (though I’m thinking I won’t see the latter due to excessive sexual content). That being said, I wanted to go ahead and tackle what I have seen before too much of 2014 passes, so just know that, if I see these films and find them worthy of this list, I will update it and let you all know. 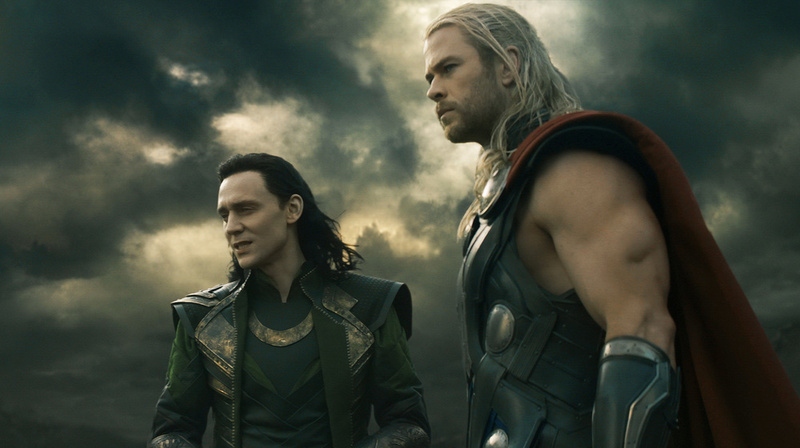 After the mediocre first Thor film, I was hoping for a much better second film, which we thankfully got in Thor: The Dark World. Chris Hemsworth is an excellent Thor, made better by the fact that we’re not establishing an origin anymore. Tom Hiddleston’s Loki continues to impress as well, this time as an ally, bringing an interesting twist to the character and allowing for a fun and occasionally potent brother-to-brother relationship. Brian Tyler’s score is just as fun as the movie itself, and Christopher Eccleston’s villain Malekith is appropriately menacing, if a bit vague in intention. I love Disney films, especially musical ones, because they remind me of my childhood, when The Lion King, Beauty and the Beast (my review), and Aladdin were supreme. Frozen reminds me of those 1990s Disney movies, but this time with a nice twist at the end – which I won’t spoil for you. 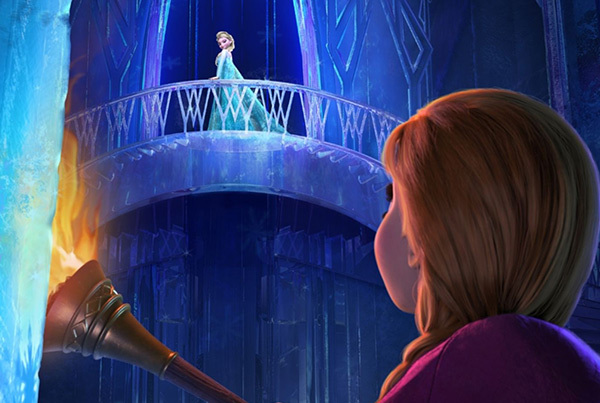 The voice cast is incredible here, namely Kristen Bell as Anna and Josh Gad as Olaf the Snowman, with Idina Menzel’s “Let It Go” set to be a surefire nominee for Best Original Song at this year’s Academy Awards – and, I’ll call it now, it’ll win too. The animation is beautiful, the story is touching, and you’ll walk out whistling the songs, wanting to watch it again and again. This film is difficult to rank because, while it’s certainly a 5-star film, it’s also difficult to watch. 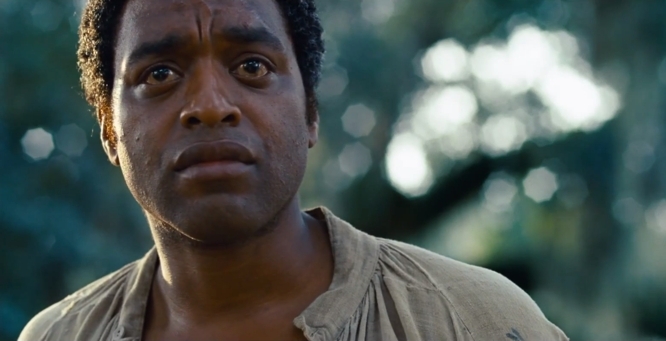 Chiwetel Ejiofor gives an Oscar-worthy performance as Solomon Northup, a free black man who is kidnapped and sold into slavery for twelve long years. The film covers his incredibly painful time spent on a plantation in Louisiana, where he meets good people, bad people, and fellow slaves who are also struggling for their lives. Director Steve McQueen doesn’t shy away from the harsh truths of slavery and how brutal the slave owners often were, making this film exceptionally powerful and a must-watch – if you can stomach it. I read Orson Scott Card’s classic book in anticipation of this film, so it was fresh on my mind when I walked into the theater. As expected, the book is much better and much of the content in the film is watered down, but that doesn’t stop the film from being pretty excellent on its own. 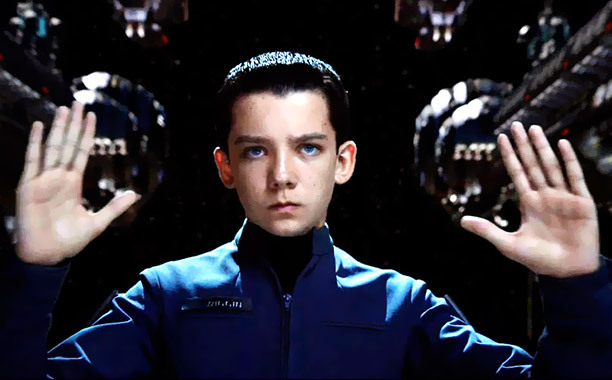 For the most part, it keeps the themes of morality and unnecessary violence intact, and Asa Butterfield as the eponymous Ender does a fantastic job of capturing the character, from his calm control in stressful situations to his intense emotional outbursts upon the realizations of what has happened to him. The visuals in this movie are gorgeous, with scenes from the book, such as the armies in the Battle Room, flying right off the page in a great way. 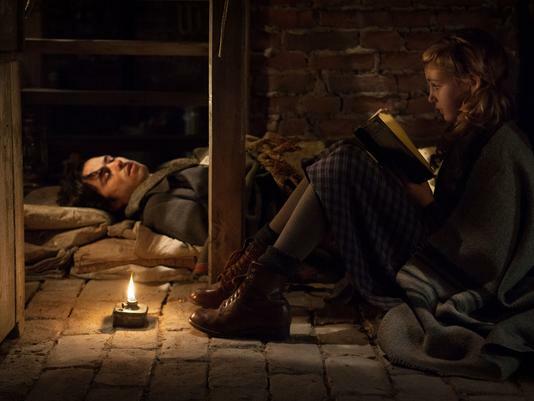 I also read Markus Zusak’s The Book Thief before seeing the film based on it, and many of my criticisms are the same as for Ender’s Game in regards to the watering down of content and such, but that doesn’t stop this film from being an emotional punch to the gut. Sophie Nélisse is outstanding as Liesel Meminger, as are her parents, Geoffrey Rush and Emily Watson. The period setting of the film is well-done, and John Williams delivers as intimate and beautiful a score as ever. Bring a box of tissues for this one…maybe two. In this film, Tom Hanks has the best performance of his life…for, what, the fifth time now? Man, he continues to prove that he’s one of the best actors out there. 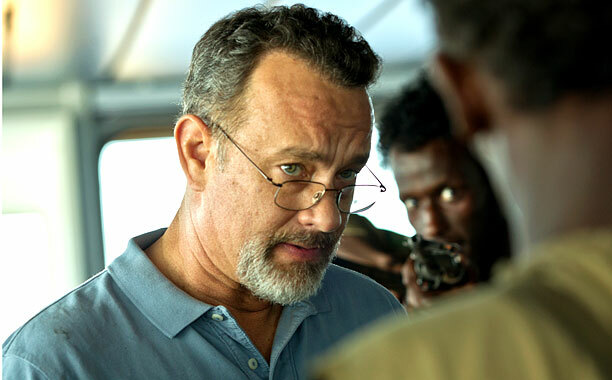 Captain Phillips tells the true story of how Somalian pirates attacked the Maersk Alabama but were thwarted by Captain Richard Phillips, who not only protected everyone on board with his actions but also offered himself as hostage to continue that protection. Barkhad Abdi plays the lead pirate, who isn’t portrayed as a bad guy but rather as a guy forced to do bad things due to unfortunate social circumstances. There isn’t a bad guy here, not really – at least, that’s not how the film portrays the pirates – but there is simply reality and suspense that rises from it. The long run-time never feels too long as you are caught up in the action from start to finish, and if Tom Hanks doesn’t win the Academy Award for Best Actor, it’ll only be because he lost it to Chiwetel Ejiofor. I had a self-imposed boycott on Tom Cruise’s films for quite a long time, but since lifting it for 2011’s Mission Impossible: Ghost Protocol (my review) he has quickly become one of my favorite actors. His performance here is great, as is Andrea Riseborough’s performance as his partner, but it’s the themes and questions raised by the film that bring Oblivion so far to the top of my list. Themes of asking questions, seeking answers, and the thirst for knowledge vs. the fear of knowledge are brought to the forefront, and, for some reason, it really resonated with me. The script is smart, Tom Cruise is as great as ever, and the score by M83 is energetic and fun, in the same vein as Daft Punk’s score for TRON: Legacy (my review), which was directed by the same man, Joseph Kosinski. This film not only shows off Tom Cruise’s continuing capabilities as an action star, but his talents as a dramatic actor as well. As far as book-to-film adaptations go, 2012’s The Hunger Games (my review) was one of the best I’d seen, but it still had problems. Director Gary Ross’ replacement by Francis Lawrence for the second film seemed worrying at first, but it seemed to pay off. 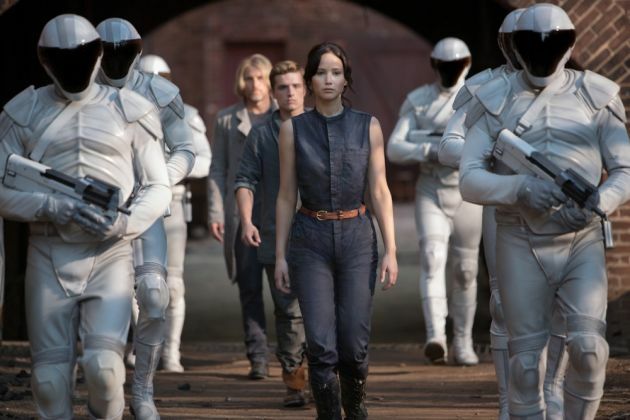 Not only is Catching Fire a better film than the first one, but it’s also a better adaptation of its book counterpart, which is hard to believe. In fact, if I may be so bold, I think that I enjoyed the film more than the book, at least as far as the opening scenes involving the Victory Tour go, which I know is probably blasphemy. Jennifer Lawrence is surely one of the best actresses out there today as evidenced by her continued terrific performance as Katniss Everdeen. The stakes of this film are higher than in the first, and the character development is even better than the already-good character development of the first film. The shaky-cam is gone in favor of better choreographed action scenes, and, in fact, nearly every aspect of the first film is improved upon this time around. This is an excellent film whether you’ve read the books or not. If you didn’t catch this film in theaters, I’m sorry. You missed out. Maybe they’ll bring it back for a few extra showings before the Academy Awards, in which case you should buy a ticket as soon as they’re available. 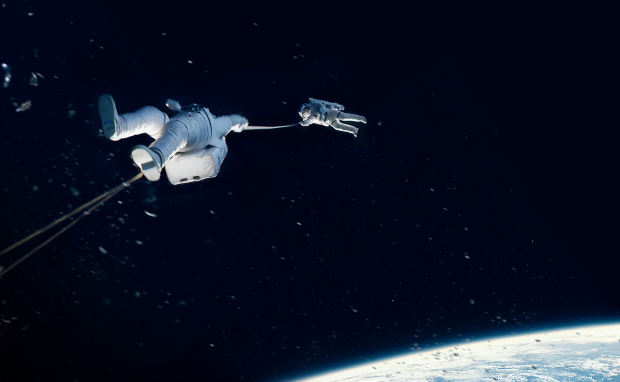 Though this film is great all-around, from the performance of Sandra Bullock to the music by Steven Price to the brilliant visuals of space, the real thrill comes from the thrill of total immersion. You seem to experience everything that Bullock’s character experiences, from spinning around in the vacuum of space to the rush of being trapped in a shower of incoming deadly space debris. The theater experience makes an already-great film even better by involving the audience fully in the action and atmosphere – or lack thereof – of space. I love, love, love this film. Love it. I caught an early screening about a month before it reached theaters and subsequently paid to see it twice more. I purchased it on Blu-Ray the day it became available and have watched it three times more since then, and I have yet to tire of it. The Way, Way Back is a coming-of-age film about Duncan, played by Liam James, who is the most perfectly, believably awkward person I’ve ever seen onscreen, which is exactly how his character should be. The growth of his character throughout the film is equally fun and touching, contrasted by Steve Carell’s portrayal of Duncan’s awful stepfather, a role refreshingly atypical of Carell’s usual fare. However, the standout performance in this film is that of Sam Rockwell as Owen, a local waterpark owner who befriends Duncan and helps him to make his summer one of the best of his life. Rockwell brings many laugh-out-loud moments, but he also brings the most poignant moments of the film. The moral is great, and the ride is a great one. I don’t think I could possibly over-recommend this movie. Well, there you have it. Do you agree or disagree with my list? What were your favorite films of 2013? Sound off in the comments – I’d love to hear your opinions. Here’s to 2014 – another great year for movies! It seems that biographical films are often more dramatic and heavy than they are light-hearted and fun, and even rarer are they both at the same time, but Saving Mr. Banks manages to pull it off quite well without seeming forced or bipolar. Saving Mr. Banks is the true story of the making of the Disney film Mary Poppins and the reluctance of the author of the books it is based on, P. L. Travers (Emma Thompson), to relinquish the film rights to her characters. When she visits Los Angeles to meet with the film’s creative team and with Walt Disney himself (Tom Hanks), heads clash as the fight to keep the heart of her story and her characters become flashbacks for Travers, revealing the events of her childhood that inspired her beloved Mary Poppins. The obvious star of this movie is Emma Thompson as the stubborn P. L. Travers, whose money is disappearing and desperately needs for this film to be made in order to help her out financially. Unfortunately, she refuses even the slightest deviations from the way she had the story and characters composed in her head, and Thompson’s portrayal does a fantastic job of making the character both frustrating and, in the right moments, comedic. The character’s quirky way of dealing with various people and circumstances, such as the surprise of the endless Disney stuffed animals waiting for her in her hotel room, are often hysterical, but her moments of grief in response to various flashbacks to her father (Colin Farrell) are even more heartbreaking…in a good way. 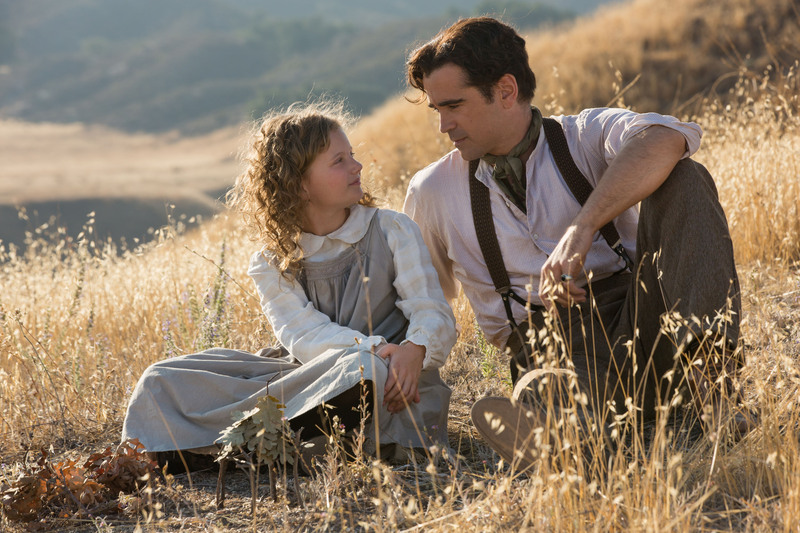 Farrell’s performance is the other highlight of the film, with his role as her father, Travers Goff, bringing even more joy and more heartbreak. There is a juxtaposition of a happy-go-lucky father with a down-on-his-luck drunk within the character, which Farrell does an outstanding job of portraying. Tom Hanks does a pretty good job as well, but I couldn’t help but feel like I was watching Tom Hanks pretending to be Walt Disney rather than simply watching Walt Disney himself, probably through no fault of his own. I was impressed by the tiny details he got right, such as the tell-tale cough that hinted at the lung cancer that would lead to his death less than three years after the premiere of the film in 1964, but the fact that it was Hanks playing Disney just couldn’t get out of my head. Perhaps this is because he doesn’t look much like Disney, whose face I’m quite familiar with, which, as I said, isn’t his fault. Really, this is a minor complaint that doesn’t detract from the film – just a slight disappointment. Another petty disappointment was with the portrayal of the legendary Sherman Brothers, Richard (Jason Schwartzman) and Robert (B. J. Novak), the duo responsible for some of the most classic Disney songs of all-time, including but not limited to “it’s a small world (after all),” “Supercalifragilisticexpialidocious” (which I proudly just typed correctly without help), and “There’s a Great Big Beautiful Tomorrow.” Aside from the fact that I thought that they could have hired better singers, I think part of my slight disdain for B. J. Novak, whose character in NBC’s The Office television series I dislike quite a bit. (Told you it was petty.) Again, though, this doesn’t really make me enjoy the film any less because, aside from the excellent performances of Thompson and Ferrell, we are treated with great performances from Paul Giamatti, Bradley Whitford, and Annie Rose Buckley, who plays P. L. Travers as a child in the flashbacks. I can’t speak to the accuracy (or inaccuracy) of the film, but, as I’ve said before, I don’t think it matters too much. A film is meant to entertain or inform, and Saving Mr. Banks does both, whether it gets all the facts correct or not. It will have you laughing and crying from the very start of the film, largely thanks to Emma Thompson’s incredible performance. It’s certainly Oscar-worthy, but whether or not she will win the Best Actress award remains to be seen. Either way, this movie is worth your money to see before it leaves theaters.